We have all your commercial cooking needs! From cooking foods to serving it we keep the cost down on our products so we can pass the savings on to you. This means more profit in your pocket! Whether you need a fryer, griddle, warming pans, refrigerator or freezer Heinsohn's has what you need. 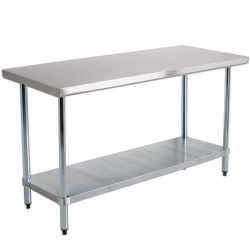 These products are great for easy access in your restaurant, bar, grill, food truck, snack bar or even a catered event. They will keep your coffee warm and your juice and tea cold. 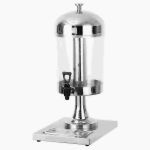 This beverage server/dispenser features extended hold time (hot or cold 4-6 hours), superior insulation, dripless service, and easy transport. 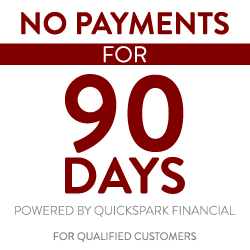 Great for restaurants, snack bars, food trucks, grills or even your next party. Place two filled decanters on this double warming plate to keep your pots of coffee hot. It's the perfect warmer for any beverage service operation that requires two pots of coffee to be warm and ready-to-serve at all times. 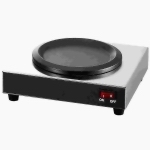 Featuring a stainless steel body and a non-stick coated warming plate, this double coffee warmer is durable and easy to clean. It is ideal for diners, food trucks, buffet lines, conference rooms, break rooms, and more. Great for restaurants, snack bars or grills or even your next party. 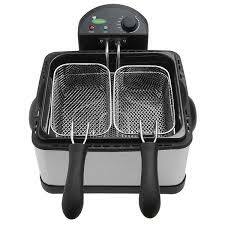 These deep fryers are good for whatever need you need to meet at an economical price. 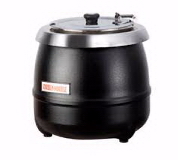 Large 3.0 Liter cooking tank is non-stick coated steel for durability and easy cleanup. 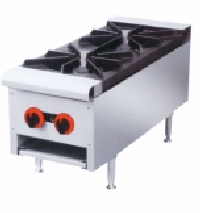 Removable 1500 Watt element heats oil faster and recovers to cooking temperature sooner. 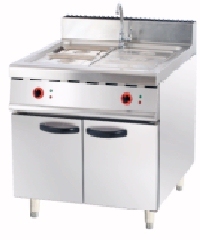 Stainless steel body includes cover with glass window and filter. 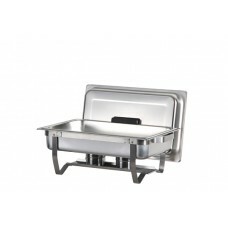 Great for restauruants, snack bars or grills. Gas Type: LPG 26 ltrs. 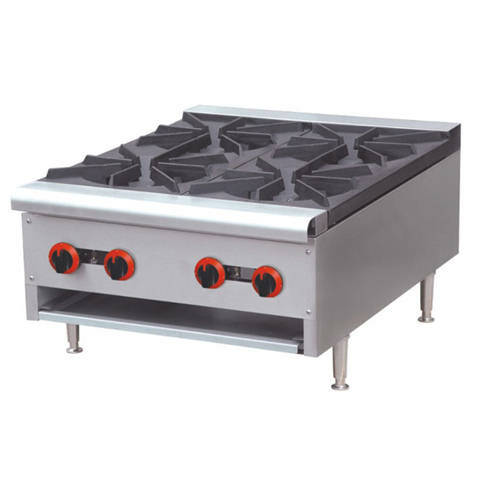 Dimensions: 16" x 35" x 37"
Temperature control has 7 positions, temp range is 210 - 450 degree farenheight, with electric ignition and flameout protection device. If the temperature gets higher than the degree you set, the gas burners will shut down and when the temperature gets lower than what is set the burners will turn on again so it will keep a constant temperature. All stainless steel body, strong and durable. Pizeo-Electric direct spark ignition, flame failure safety device for each control. Heavy duty gas burner with individual switch. 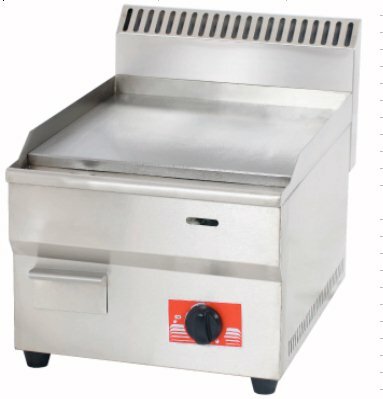 Dimensions: 12" x 20" x 39"
Dimensions: 20" x 20" x 39"
Counter Top Fryer 10 lb. This 10 pound electric countertop fryer is perfect for light-duty frying applications. 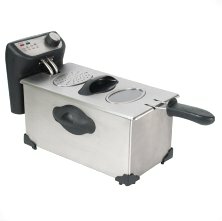 The heating element and tank on this electric fryer are removable, making for easy access and cleaning. 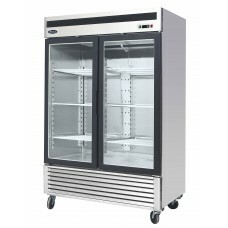 The cabinet and tank are made from durable stainless steel to ensure optimal performance in a commercial environment. 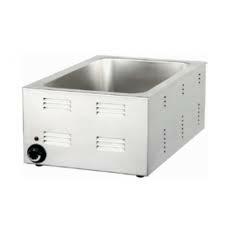 This fryer also includes a steel lid that can be used to cover the fryer tank during non-peak hours to help preserve the oil. This 20 pound electric countertop fryer is perfect for light-duty frying applications. It has two 10 pound tanks with individual heat controls that allow you to efficiently cook two different items at the same time. The heating elements and tanks on this electric fryer are removable, making for easy access and cleaning. 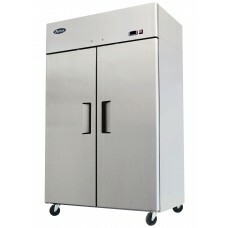 The cabinet and tanks are made from durable stainless steel to ensure optimal performance in a commercial environment. This fryer also includes two stainless steel lids that can be used to cover the fryer tanks during non-peak hours to help preserve the oil. 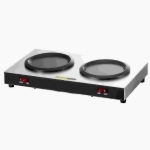 These gas or electric griddles will meet any need. From concession stands, small restuarants, or even just to have at home, we have several ones to choose from. All stainless steel. Inside with insulation to improve the thermal efficiency of the security. Temp control, Fast heating and Temp uniformity. Comes with removable oil container. 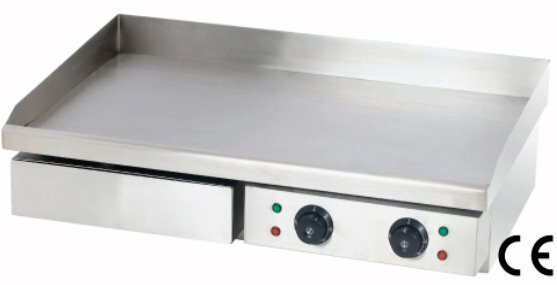 Measures: 29" x 19" x 9"
Electric countertop griddle perfect for your food truck, hamburger stand or BBQ stand. Prepare grilled cheese, burgers, pancakes, scrambled eggs and much more. Durable stainless steel body. 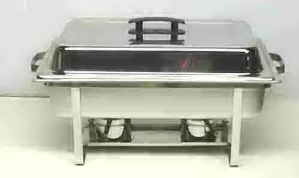 Measures: 22" x 19" x 9"
Gas Griddle. 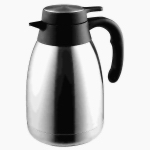 Stainless Steel body with removable oil container. Energy-saving and safe. Propane Grill and Griddle. Stainless Steel body with removable oil container. Energy-saving and safe. 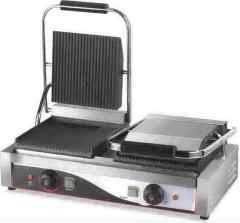 Tabletop Electric Volcanic Rock Grill that can give your steaks and seafood that smokey flavor. If you want to serve those great smoky flavored steaks, fajitas or breasts, this is the grill for you. The grease drops off the meat and hits the lava rock to produce smoke and maybe a little searing. Yum! That'll keep 'em coming back! 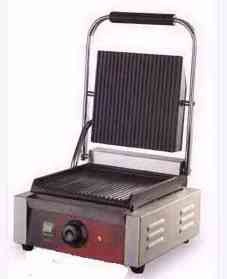 For those great panini sandwiches, these grills will work for you. 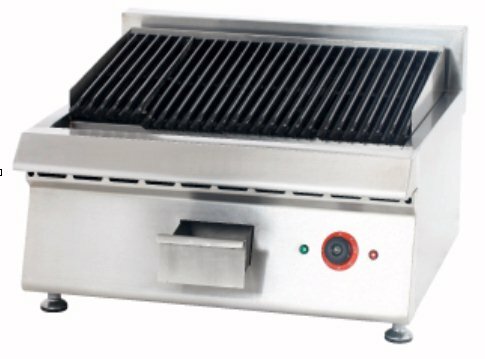 This sandwich grill is great for paninis, chicken breasts, hamburgers, steaks, wraps and other menu items that need to cook quickly. The press can be left up to simply cook items with attractive grill lines, or pressed down to flatten items and melt cheeses. Panini sandwiches have proven to be a popular twist on traditional lunch fare. Why not join the sandwich revolution? 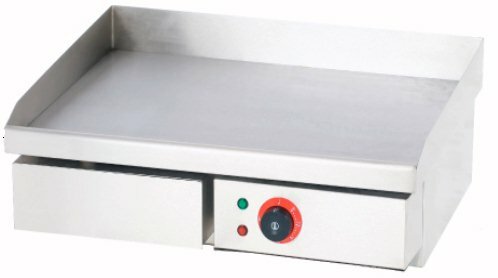 With this Grooved Plate Sandwich Press from ProProcessor, you can serve delicious Panini’s quickly and easily. Melting cheeses, heating a big pot of chilii, boiling crawfish, these stoves work great. They are good for a party, backyard bbq, concesion stand at the ball park or even a restuarant. Has three ring burners to keep your large stock pots plenty hot. 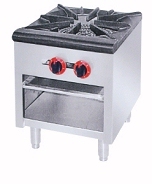 This Stove is good for small restuarants, kitchens or a snack bar. 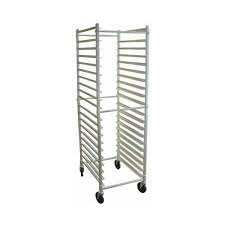 Has Stainless steel structure , durable material , Corrosion resistant and easy to wash. Simple and reasonable structure , easy to manipulate and maintain. Investment Casting burners, with stable fire and standby pilot. Heavy duty iron-casted grate, and strong bearing performance. Independently manual control to save the energy. 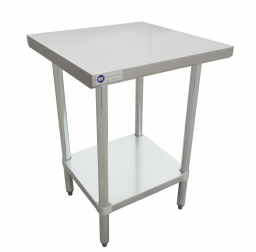 Adjustable stainless steel stand. These warmers keep foods heated while being served. Comes in handy at a party, fish fry, bbq or restuarants. 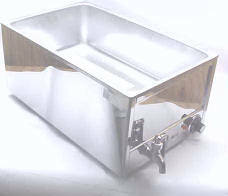 A bain marie is a utensil and a cooking technique. One container with food to be cooked is placed in another, larger pan containing water that is at the simmering point. This method of cooking surrounds the food with very gentle heat and is used for cooking delicate dishes like custards or white sauces, or melting chocolates. 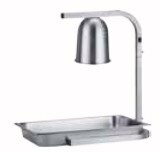 Constructed with a stainless steel housing with the interior being constructed of 20 gauge 18/8 stainless steel with a 10" x 20" opening. The well is 6.5" deep and will accommodate all standard size food pans up to 4" deep. Has a dual element for even distrubship for entire well. Easy to clean and has a manual temperature control knob. The overall dimensions are 9 1/4(H)" x 14 1/2(W)" x 221/2(D)". 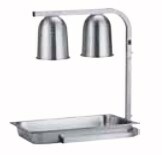 This soup warmer has a 12 quart capacity and includes a 10.5 quart stainless steel insert as well as a stainless steel soup ladle. The shell is constructed of solid steel with a black powder finish. This kettle has a 600 watt heating element. It is 110v. This is a good looking product. 1 bulb comes with lamp. This Single Door Refrigerated Glass Merchandiser is idea for storage of any grab-and-go items and cold beverages. This unit really comes with everything you would need in a Merchandiser! This Single Door, 4 shelf Refrigerated Glass Merchandiser is very easy to maintain, finished in stainless steel and with rounded edges at the base to make cleaning a simple task. this unit weighs 276 lbs., uses 4.3 amps. It has 280watts using only 3 wattsper 24 hours. Thus unit takes R134a refrigerant using 9.2 ounce of refrigerant in the compressor. Exterior Dimensions:27(H)" x 31.5(W)" x 83.5(D)"
Interior Dimensions:22.2(H)" x 25.2(W)" x 60(D)"
Packing dimensions:	28.7(H)" x 33.1(W)" x 88.6(D)"
This Single Door 4 shelf Freezer Glass Merchandiser is idea for storage of any grab-and-go items and cold beverages. This unit really comes with everything you would need in a Merchandiser! 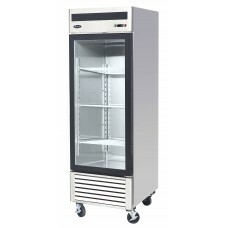 This Single Door Refrigerated Glass Merchandiser is very easy to maintain, finished in stainless steel and with rounded edges at the base to make cleaning a simple task. 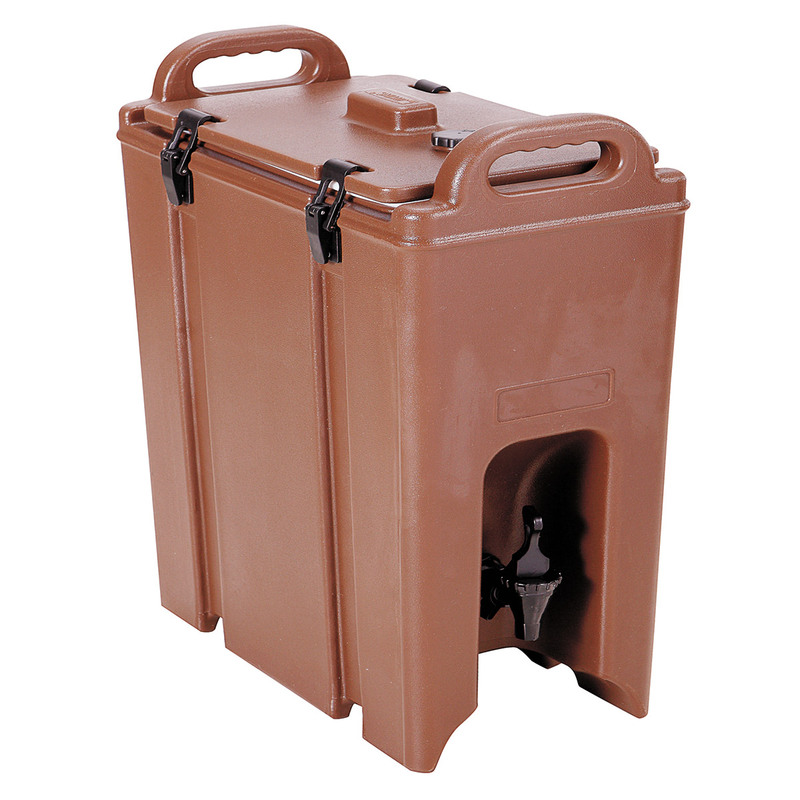 The unit is an ideal stand-alone solution for most bar refrigerator storage requirements. It weighs at 287 lbs., has650 wattage using only 10 watts per 24 hours. 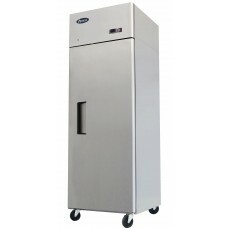 This freezer uses R404a refrigerant and holds 13.4 ounce of refrigerant. Exterior Dimensions: 27(H)" x 31.5(W)" x 83.5(D)"
Interior Dimensions: 22.2(H)" x 25.2(W)" x 60(D)"
Packing Dimensions: 28.7(H)" x 33.1(W)" x 88.6(D)"
This Glass Door Refrigerated Merchandiser with Sliding Doors is simple to maintain coming with rounded edges at the base and a stainless steel finish to make cleaning an easy chore. This Refrigerated Glass Door Merchandiser with Sliding Doors has enough space inside to cater for most food and beverage storage requirements. This particular unit is a favorite amongst restaurant kitchens, sandwich shops, snack bars, concession stands and pizzerias where space is often limited while at the same time a substantial Merchandiser is required. The refrigerant used is R-134a and takes 13.4 ounce refrigerant. 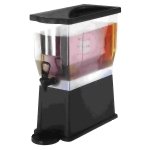 It has 1/3hp compressor and uses 4000 wattage with 5 wattage usage in 24 hr period. This freezer is Energy Star Scertified. Exterior Dimensions:54.4(H)" x 31.5(W)" x 83.5(D)"
Interior Dimensions:29.7(H)" x 25.2(W)" x 60(W)"
Packing Dimensions:56.1(H)" x 33.1(W)" x 85(D)"
This Freezer Merchandiser with Two Glass Doors is simple to maintain coming with rounded edges at the base and a stainless steel finish to make cleaning an easy chore. 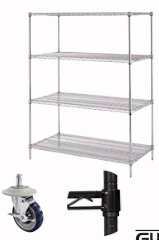 The food and beverage storage area inside of the unit is ample with 8 shelves. This Refrigerated Glass Door Merchandiser Two Doors has enough space inside to cater for most food and beverage storage requirements. This particular unit is a favorite amongst restaurant kitchens, sandwich shops, snack bars, concession stands and pizzerias where space is often limited whilst at the same time a substantial Merchandiser is required. The refrigerant used is R-404a and takes 19.4 ounce refrigerant. It has 3/4hp compressor and uses 950 wattage with 15 wattage usage in 24 hr period. This freezer is Energy Star Scertified. Interior Dimensions:49.7(H)" x 25.2(W)" x 60(W)"
Exterior Dimensions:27.7(H)" x 33.30(W)" x 83.9(D)"
Interior Dimensions:24(H)" x 25(W)" x 60.6(D)"
Packing Dimensions:29.9(H)" x 33.9(W)" x 85(D)"
This Two Door Reach In Refrigerator brings both efficiency and dependability to any commercial kitchen environment, favored particularly within the restaurant kitchen community, this unit really does represent the highest of values. The unit comes with 6 pre-installed shelves. At a 44.5 cubic foot capacity the Reach In Refrigerator has plenty of room for food and beverage storage. It has a 1/3hp compressor with 590 wattage using 2.3 wattage in 24 hours.It takes R-134a refrigerant and holds 13.4 ounces. Exterior Dimensions: 51.7(H)" x 33.3(W)" x 83.9(D)"
Interior Dimensions: 47(H)" x 25(W)" x 60.6(D)"
Packing Dimensions: 53(H)" x 33.9(W)" x 85(W)"
This Two Door Reach In Freezer has to be one of the finest examples on the market today. The unit comes with 2 self closing doors with the 6 shelves. It weighs in at 430 lbs. Has 3/4 hp compressor and has a 1170 wattage. Runs on R404-a refrigerant only using 19.4 ounce refrigerant amount. This freezer has an electric defrost for easy maintenance. A particular favorite amongst restaurant kitchens, this Reach In Freezer truly represents value for money and an astute investment. Exterior Dimension: 51.7"(H) x 33.3"(W) x 83.9"(D). Great for Storage. Comes with wheels for easy manuverability. Great for Storage. Comes with 3 hooks to hang your pans from. 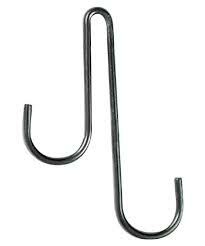 This package of pot rack hooks include 3 hooks and are perfect for hanging your pots and pans. Great for your professional restaurant kitchen, cafe, diner or home kitchen. Holds up to 2000 lbs. Measures: 20" x 48" x 12"